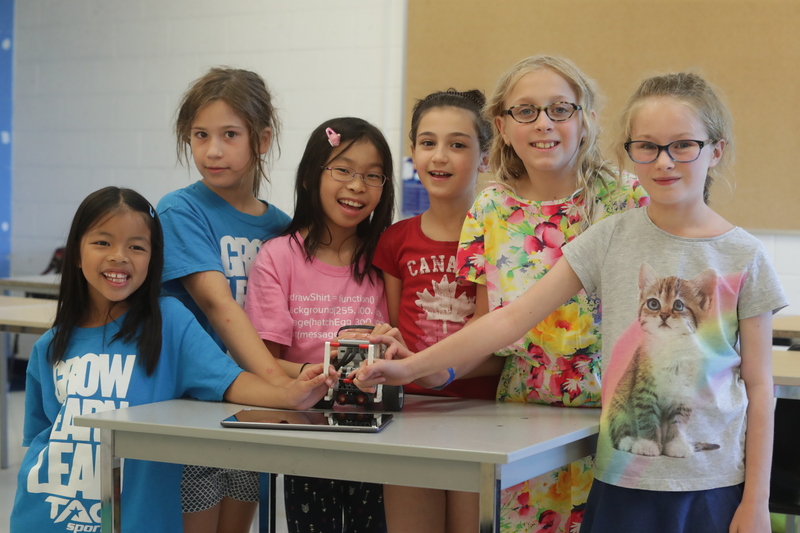 Our dynamic and exciting robotics program enables our students to help develop their creativity and overall problem-solving abilities as these are really vital skills that they can make use of throughout their lives. 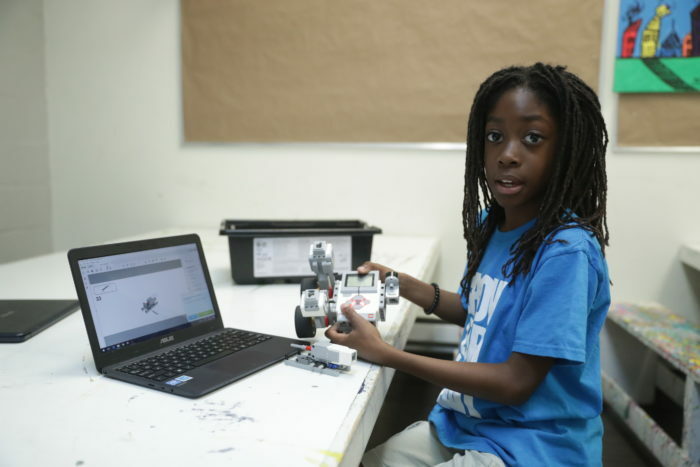 Students learn how to build, design and program robots to go through challenges such as moving through mazes, lifting and distributing blocks, races, and even battling them in an arena. At LSA, we focus on familiarizing our students with the world of robotics and programming, preparing them for a world of robotics and A.I. The program utilizes Lego Mindstorm EV3 program which effectively incorporates both the designing/building and coding aspect of robotics. The modular nature of the Lego provides students with immense versatility in terms of design potentials as the possibilities are limitless. On top that, the Mindstorm sets comes with motors and various type of sensors which adds another layer to the designs. The programming aspect of these robots includes a drag and drop user interface which is very intuitive and fun to use. Students are provided them with a series of guided projects and the aim here is to build a strong foundation within the students. The projects gradually increase in terms of complexity which naturally allows for the students to grow. After the students have demonstrated proficiency in their understanding of the EV3 we encourage them to take what they have learned and incorporate it into their own designs. The beauty of the EV3 is that it is simple enough that really young kids can pick it up and understand it but it also has enough functionality to allow for really complex projects as well. In fact, it is used in some university Engineering programs. We provide two different programs for Lego Robotics. WEEKLY PROGRAMS: One is an afterschool program, where students receive a 1-hour lesson every week for 8 weeks. These 1-hour sessions puts emphasis on the programming aspect of the EV3. The lessons would typically involve learning a new concept and running few activities to reinforce it. Objective: The students will be taught how to use a motor to make the EV3 perform various kinds of movements. Objective: The students will be taught how to output various text and images onto an LCD display screen. Objective: The students will be taught how to make a robot move through a maze. Objective: The students will be taught how incorporate and program a touch sensor into designs. Objective: The students will be taught how to detect objects at varying distances using an ultrasonic sensor. Objective: The students will be taught how to use a color sensor to identify different objects. Objective: The students will be taught how to use a gyro sensor to make precise movements. Objective: The students will be taught how to manipulate a robot arm. SUMMER CAMP PROGRAM: Within this week, the students will be given various kinds of project that will focus on both building and programming. Each day would involve a big project that would they would they will be required to finish. Objective: The students will be taught how to build the EV3 base model and use it with an ultrasonic sensor to navigate through a maze. Objective: The students will be taught how to use a color sensor in order to follow any given line. Objective: The students will be taught how to use an ultrasonic sensor and a robot arm to move around objects to desired locations. Objective: The students will be taught how to build a mechatronics robot that can sort different colored blocks. Objective: The students will design their own robots that is to be used in a SumoBot competition.